The channel loves its labels and acronyms and when it comes to distribution phrases like 'specialist' and 'value added' drop into conversations without too much explanation of what they really mean. Most of the traditional broadline players have bolstered their abilities to provide vendors with an extension of their marketing and training efforts and are quite happy to point resellers at some of the growth areas and verticals and view those efforts as delivering a great deal of value. But even with those worthwhile efforts their model, which involves a lot of vendors being on the books and selling in large volumes, is still distinctly different from that of a specialist distributor that operates in one or two areas with great depth and focus. Traditionally a value added distributor has been seen as a repository of knowledge about a market area and has taken on complementary vendors that could be combined to provide resellers with a much wider solution. Keeping that business growing demands a level of market knowledge that encompasses products, skills working out which emerging vendors will have the financial legs to last and the ability to forecast just which relationships will still be delivering a few years down the line. 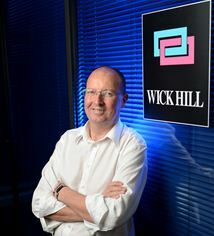 Wick Hill is a good example of how that works in action with the firm, which runs operations in the UK and Germany, enjoying 40% growth last year as it starts to reap the rewards of investments it made in certain vendors two or three years ago. Winning awards is something that Wick Hill has plenty of experience with, and it has even picked up some MicroScope ACEs, but sometimes coming first can be a real booster when it means over coming stiff competition. Earlier this year Wick Hill was named as Woking's Most Successful Company of the Year. A decent performance with 40% growth helped it land the prize given to the firm in the local area with the best financials. The prize in itself is something to be prized in a cabinet in the office but the knowledge that Woking is also the area where Formula One outfit McLaren also bases its operations makes the award just that little bit more special. The distributor only deals with around 14 vendors in each territory to make sure that it can be focused and develop a story of a solution that it can carry out to resellers around the areas including security, access, networks and mobile management. One of the key skills is identifying which vendors are worth carrying, being open to emerging talent and disruptive technology and then sometimes bringing vendors without a UK history into this market. Ian Kilpatrick, chairman of Wick Hill, is constantly reviewing the market looking for where the next big area will open up but has to do that while fending off vendors approaching the distributor looking for someone to help them develop their UK presence. "We look to add value to solutions in areas of complexity by providing the channel with education and support," he adds that a big part of finding decent technology is about being open minded, "It is often not the top player but someone who is number two who has a better solution and then we work with the channel to expand that niche." "We get about two to three calls a week from vendors wanting to work with us and the challenge is finding the right partner with the right technology. We want to work with a company that wants to win and will be here in two years’ time. Making sure that the vendor is still playing a pivotal role in two to three years’ time is critical for Wick Hill because it operates a model which involves making an investment in backing a relationship with a supplier before it reaps the rewards. "We invest backing with partners and expect to make some margin on products in year two and [recoup that investment] the relationship has a three or four year cycle around it," he says. Kilpatrick views its role as largely one of providing a solution with various technologies that then tees up the reseller's own services play giving those that can add real value a chance to build on the distributor's hard work: "It gives the channel a huge services opportunity". He is also acutely aware of letting resellers down if it introduces a vendor that is adopted and sold and then turns out to pull back from the UK market after a couple of years leaving partners here exposed to problems with customers. "Some vendors we have not worked with because we know that they are not going to be delivering core technology in two to three years time and we don't want to be selling it as it is not going to be good for partners," he adds "My job is to find the products that are just going up the curve [of possibly becoming mainstream] and we can change that curve by what we do." Wick Hill has labs in both the UK and Germany where it puts products through their paces as it evaluates which technology is going to deliver and meet a market need and has the potential to become core to the channel in the next few years. Because the UK is one of the most important markets in Europe, particularly at the moment with its improved growth compared to its continental neighbors, there are more people than ever clamoring to get distribution signed up to help them have a crack at gaining some sales. Wick Hill will go a long way down the road of providing a lot of support for new entrants helping them understand the market and giving support in marketing and sales to make sure the technology is positioned correctly and the right message gets across. But Kilpatrick does want to see a commitment from those it works with to have offices that contain staff able to support channel partners. Being a source of expertise in the security market is also a role that keeps the staff at Wick Hill busy because the landscape is constantly changing. Not only are the threats from cyber hackers increasing but the vendors are adapting and expanding their own portfolios to react to those changes. In the past few years there has been a fair amount of consolidation in the industry as well as a move from vendors to deliver as complete a solution as possible, which often leaves resellers pitching a solution and message that has been overtaken by events. 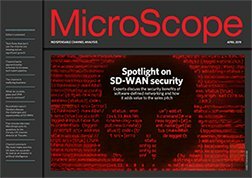 "Security today, even with the same vendors, isn't the same as it was a year ago. The vendors move with the security landscape so we are selling different solutions," says Kilpatrick. Along with keeping a focus on security Kilpatrick talks about an increasing need to deliver solutions that help secure networks and mobile devices and as the curtain comes down on its financial year, at the end of March, thoughts are already turning to what lies ahead in fiscal 2015. As well as looking to build on its success in the UK and Germany there are some plans to look at how it can deepen the business in those markets and if it could expand its opportunities across some parts of Europe. Kilpatrick believes that what it does is valued by vendors and despite the tendency by some in distribution to over use the 'value-added' tag he believes those that really match that description do stand out. "There are a small amount of people doing what a value added distributor providing the skills and the market knowledge that is different. The majority of our channel partners also recognise what we do," he adds. The formula of operating with a relatively small vendor portfolio, knowing the market inside out and a determination to ensure that credibility and reputation are never questioned or tarnished has kept Wick Hill going. It has also helped define what is its added value and helped vendors and resellers distinguish from some of the alternatives in the market.